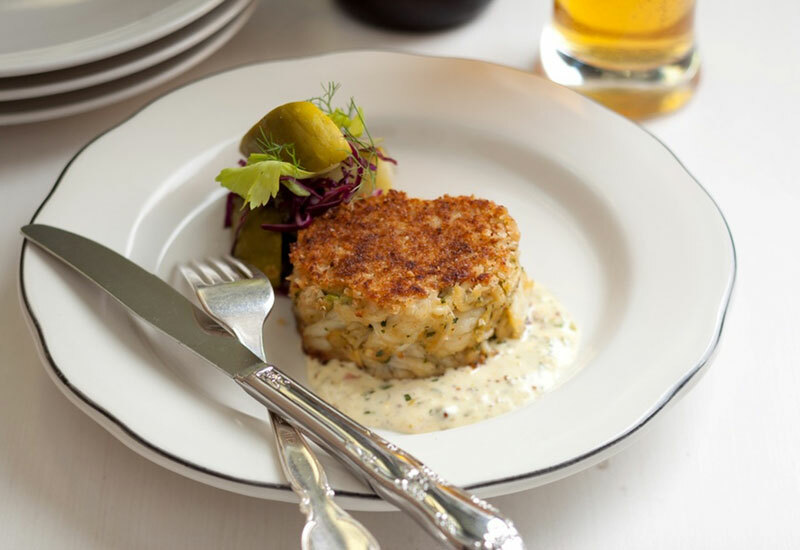 Manhattan Beach’s intimate and wryly named Fishing with Dynamite showcases David LeFevre’s expertise with seafood, honed during his years at Water Grill downtown. Sure, there’s that bacon-infused clam chowder and the mussels bobbing in Thai coconut soup. But you’re here for the oysters. Pristine and expertly shucked, they’re available in a half-dozen seasonal varieties and accompanied by uncommon dipping sauces. The tang of ponzu, for example, proves an ideal pairing for plump, briny Sunberry Points from Canada’s Prince Edward Island. Want to learn more about what you’re slurping? LeFevre—who’s often behind the bar, oyster knife in hand—expounds on the East Coast-West Coast bivalve rivalry with a professor’s erudition and a hedonist’s delight.